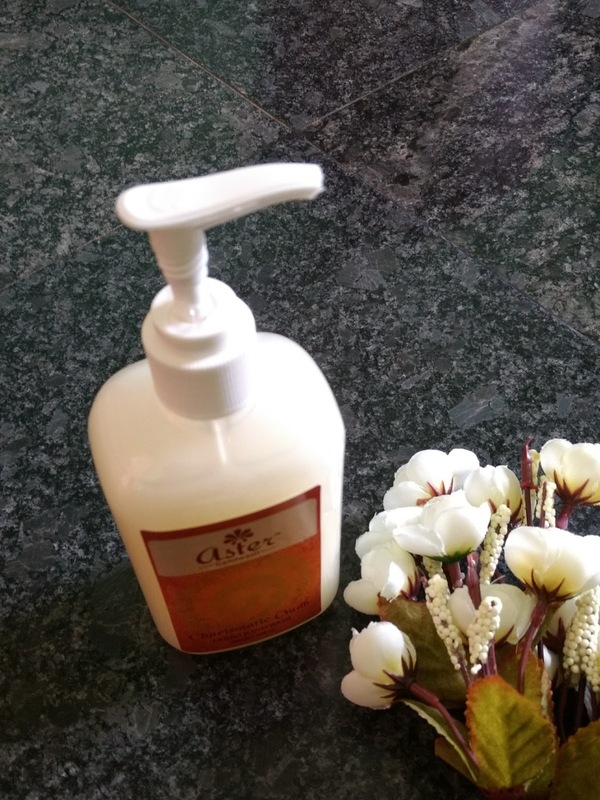 Today I will be reviewing a hand wash from a premium brand called Aster Luxury. We all know how important it is to wash our hand before we cook or take our food. After becoming a Mommy, I have been extra careful of washing hands before eating food. Let's head straight to the review and check how this hand wash performs. Enriched with the goodness of Oudh which cleanses, moisturises and smoothens your hands. It's sweet woody aroma exhilarates your senses. The hand wash is housed in a plastic packaging with a square shape and pumo up packaging. I especially like the square shape since unlike round or other fancy shape it occupies minimal space near the sink or wash basin. The packaging works fine in dispensing the right amount of the product. 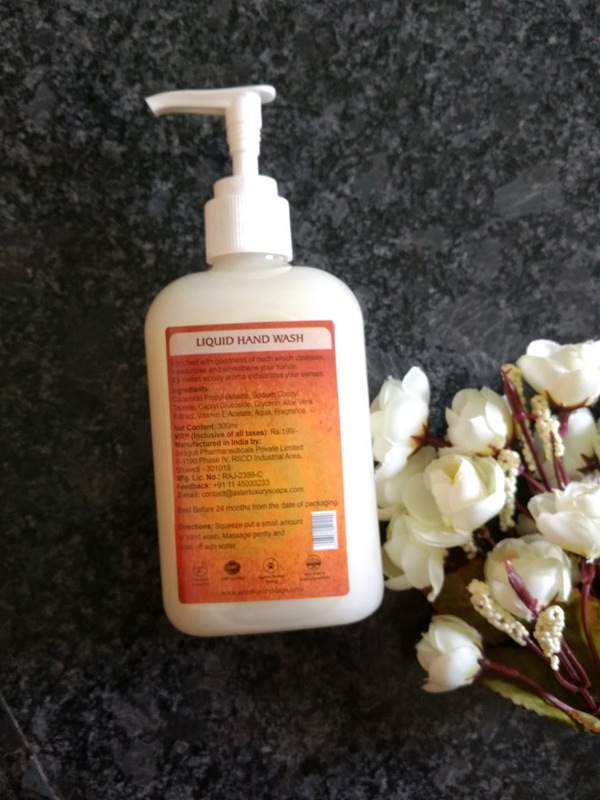 The hand wash is light yellow coloured and has a mesmerizing fragrance. The fragrance is Oudh, guessed it from the variant name. The hand wash foams quite well and a very less amount of hand wash is required for each usage. For washing hands just one pump is enough. The product doesn't dry out the hand skin no matter how many times you wash your hands. I have kept this hand wash near my kitchen skin and whenever cut onions or some other vegetables or non veg etc I wash my hands. Moreover, the product is free from SLS, SLES and parabens so we need not worry about these nasty chemicals. 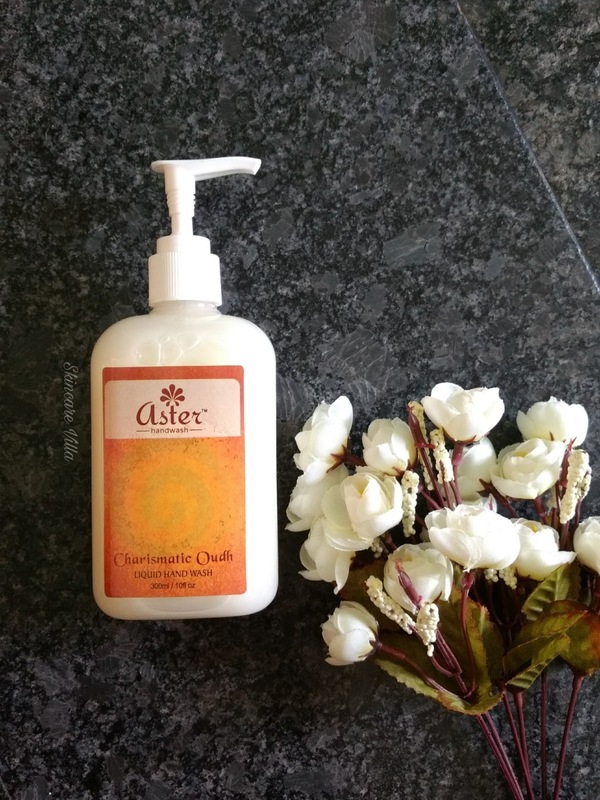 I would highly recommend the Aster Charismatic Oudh Liquid Hand Wash for it's efficiency in cleansing the hands while not drying them. Free from SLS, SLES and parabens. Price, Shelf life and Availability - 199 INR for 300 ml with a shelf life of 2 years. Available on Amazon as well as Aster website. 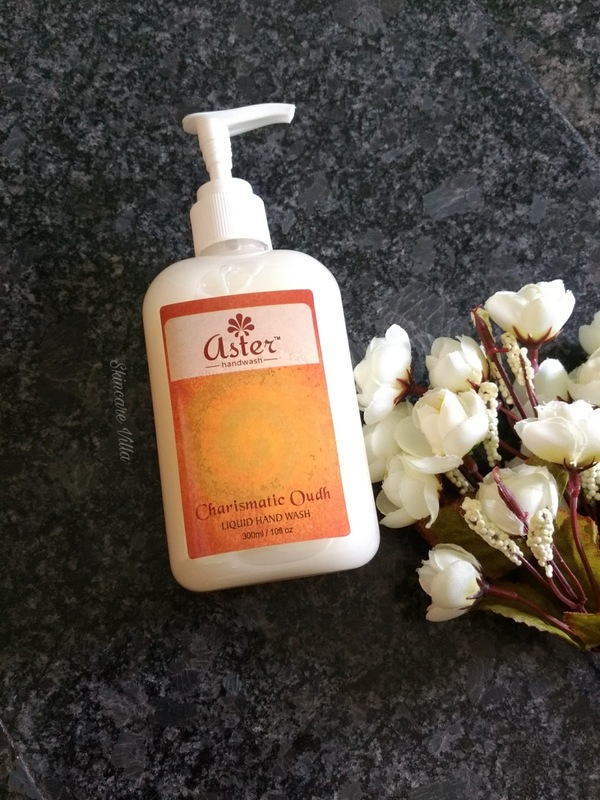 Aster Charismatic Oudh Liquid Hand Wash is a commendable product which cleanses the hands while leaving a great fragrance behind. The fragrance is the UPS of the product and I totally love the fragrance. Moreover it's SLES, SLS and paraben free product so it's a recommendable one for regular use.